The public lectures for the Mahfouz Forum workshop on the Generation of Sound, will survey the work of the Ordered Universe team on the treatises On Colour, On Light and On the Rainbow. Two lectures, with a break in the middle, four speakers, and a drinks reception with demonstrations of the most recent work connected to On the Generation of Sounds will follow. We’d love to see you there! 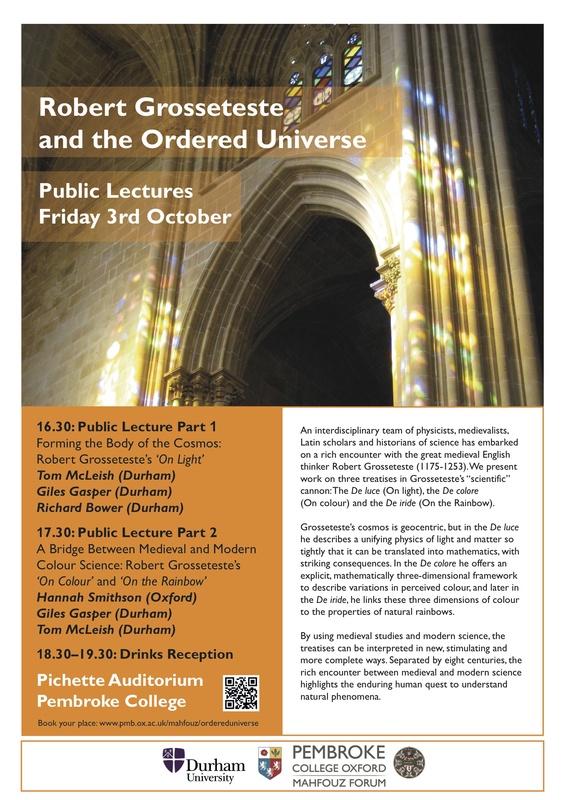 Pembroke College, Pichette Auditorium, 16.30, Friday 3rd October – and booking details below.